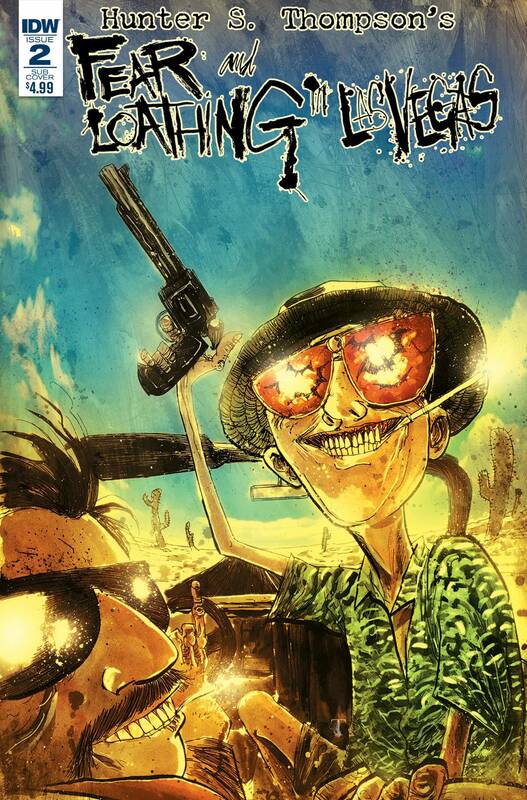 Troy Little's gonzo adaptation of Hunter Thompson's Fear & Loathing in Las Vegas is now available in an all-new format. The Village Voice says, 'Cartoonist Troy Little reimagines [the] gonzo tour-de-force in a new graphic novel adaptation... buzzing with manic energy.' This comic book version is presented in black-and-white and at a slightly larger size than the full-color hardcover edition. Each issue also includes pages from Little's sketchbook and other behind-the-scenes information.